Yardley’s canal towpath is being transformed for Canal-o-Ween’s 10th Annual Jack-o-Lantern stroll! Local carvers have created beautiful jack-o-lanterns for visitors to enjoy as they take a fall stroll along the canal. Let your dogs and puppies celebrate the season of spooks during Crossing Vineyard and Winery’s Howl-o-Ween party! 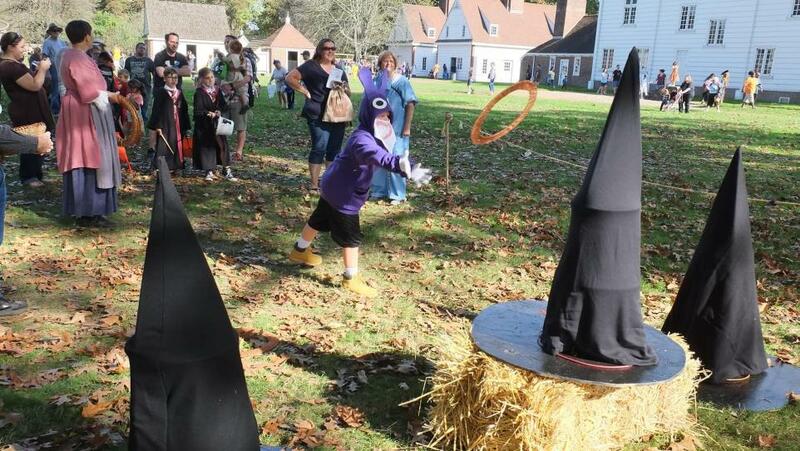 Bring the family for a festive afternoon of Halloween fun at the Pennsbury Manor during their Tricks and Treats event! When: October 26 – 27, 6 – 9 p.m. 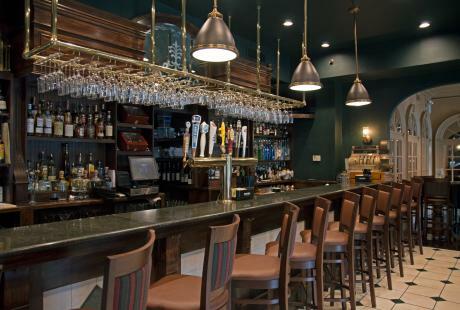 The Triumph Brewing Company is hosting a haunted ghost tour and whiskey tasting during their Specters and Spirits event! Visitors can look forward to visiting six different supernatural sites, each with their own terrifying tales. When: October 26, 6:30 p.m. Celebrate silly, not-too-spooky fun at The Count’s Halloween Spooktacular at Sesame Place®. Come in costume and enjoy three special Halloween-themed shows, soar, swing, fly and cruise on three Count von Count-themed mechanical rides, and see everyone’s favorite furry friends dressed up in costume. When: October 26 – 28, 11:30 a.m. – 8 p.m. When: October 26 – 28, 6 – 10 p.m. The creative team from House in the Hollow has joined forces with Sleepy Hollow Hayride to present an all new haunted hayride experience for 2018! Enjoy three terrifying attractions, including the Sleepy Hollow Hayride, The House in the Hollow and the Field of Fright! When: October 26 – 28, 7 – 10 p.m.
Ride through the deepest, darkest woods in Bucks County! With new spooks, new scares and even more thrilling, the Original Haunted Hayride, Scarytales, The Facility and Operation Z Escape. Visit McCoole’s Arts & Events Place for a guided tour through Quakertown’s most haunted street. Listen to bone-chilling tales and terrifying folklore! Reservations are required. When: October 26, 7 – 9 p.m.
As you trick-or-treat at Peddler’s Village this weekend, stop by Sweet Occasions to design and decorate your very own gingerbread house masterpiece! Reservations are required. When: October 26, 5 – 8 p.m. 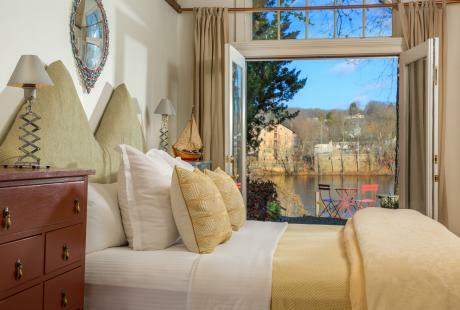 Explore the unknown with author and spiritual medium, Edward Tabbita, and enjoy a delicious dinner at the Logan Inn! Reservations are required. When: October 26 – 28, 7 – 9 p.m.
Visit the Sheraton Bucks County Hotel for two full days packed with informative speakers, vendors and interesting discussions on today’s hot topics in Ufology. When: October 26 – 28, 10 a.m. – 5 p.m.
Visit Peddler’s Village to explore a collection of larger than life scarecrow creations throughout the village! When: October 26 – 28, 10 a.m. – 6 p.m. Experience an immersive, themed mystery at Fonthill Castle! Work together to uncover clues, solve puzzles and discover the location of Bluebeard’s key before time is up. Includes a 30-minute tour. Reservations are required. 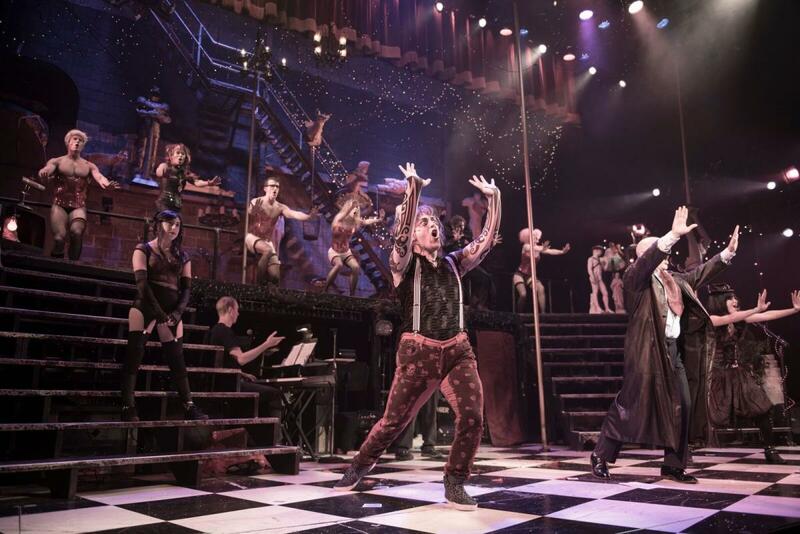 A comedic rock musical that explodes onto the stage with all the awesomeness and amperage you would expect from an 80’s style hair metal rock concert during Frankenstein Rocks! Hops/Scotch hosts a monthly salsa night and October’s theme is Day of the Dead! Come to the Main Street Marketplace in Doylestown for a dance class filled with crowd-favorites Latin music! Plus check out the 80’s Themed 2nd Annual Halloween Party on Saturday. When: October 26, 7:30 – 10 p.m.
“American Moderns: The Legacy of Gerry and Marguerite Lenfest?” features 27 works from Gerry and Marguerite Lenfest that highlight the development of modern art in America. The Michener is also presenting “30 Years: Art at the Michener, 1988-2018”, a special exhibition that invites visitors to learn new stories about familiar works of art and discover objects from the Museum’s vault that have never before been on display. Don’t miss “An Evening of the Blue” event this Friday event! When: October 26 – 28, 10 a.m. – 4:30 p.m. When: October 26 – 28, 12 – 5 p.m. When: October 26, 6 – 9 p.m.
Based on Lillian Hellman’s powerful debut drama, this classic thriller unfolds when a student’s vengeful lie is unleashed on a New England boarding school, creating chaos in its wake and a race against time to prevent a potentially catastrophic climax. Enjoy a multi-course sushi tasting at Crossing Vineyards and Winery. Pair the sushi with Crossing Vineyards’ delicious wines! Reservations are required. When: October 26, 2 p.m. When: October 26 – 28, 6 – 8 p.m. The talented actors of Acting Naturally Theatre invite guests to watch Captain Louie Jr., a story about friendship and the ability to make new friends – and the importance of old ones. When: October 26 – 27, 7 p.m. Enjoy a slow flow of yin-inspired poses to ease you into your weekend. While you settle into each stretch, enjoy the sound vibrations of singing bowls. Reservations are required. When: October 26, 8 – 9:30 p.m. When: October 27 – 28, 10 a.m. – 4 p.m.
Come to the Washington Crossing Brewfest for an opportunity to sample unique and special fall beers on tap throughout the entire day! When: October 27, 12:30 – 4:30 p.m.
Join Watson Adventures on a unique haunted scavenger hunt in New Hope, PA! Better bring your favorite hex, because the historic buildings and byways of this town are rife with cranky poltergeists. Reservations are required. When: October 27, 4 – 6:30 p.m. Dress up your dogs and bring them to Crossing Vineyards for Howl-O-Ween Pawty! Enjoy specialty pairings, spooky music and treats for your pup. When: October 27 – 28, 12 – 5 p.m.
Love wine? Love succulents? Love delicious farm to table food? Then this event is for you! Take a vineyard tour, the enjoy a wine tasting and an amazing lunch before participating in a Halloween themed terrarium workshop to finish off the afternoon. Reservations are required. 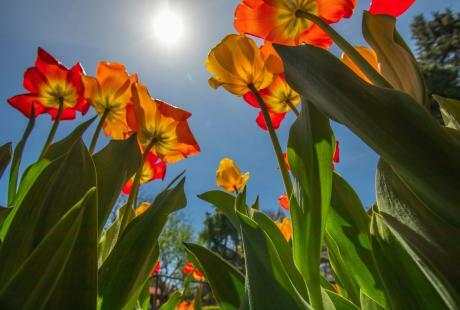 When: October 27, 12 – 3:30 p.m.
Join the Market at DelVal to celebrate their favorite time of year! 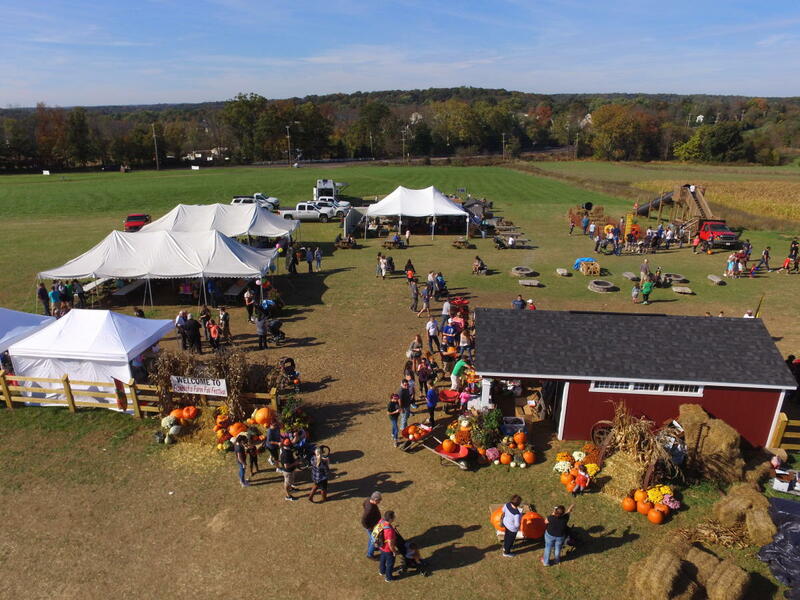 Enjoy pumpkin picking, wagon rides, inflatable attractions, fall brews and more. Don’t miss the 9 a.m. Fall Harvest 10k, 5k and Lil Pumpkin Kid’s Run! Check out their Moonlit Fun event every Saturday and Sunday night. When: October 27, 11 a.m. – 4 p.m.
Watch one act Halloween plays during Acting Naturally’s Halloween Extravaganza! The night will include spooky tales involving, evil spirits, doll houses and a chilling last day of school. Bring your little witches, ghouls, and goblins to celebrate fall at Rice&apos;s Market Trick or Treat Party! This spooktacular community event promises fun for the whole family with face painting, pumpkin painting, and trick or treating. When: October 27, 10 a.m. – 12 p.m. When: October 27, 9 a.m. – 4 p.m. Enjoy a night of beautifully played classical music by the Bucks County Symphony Orchestra during their Fall Concert! When: October 27, 8 p.m. Known as “The American Band,” Grand Funk Railroad laid the groundwork for such bands as Foreigner, Journey, Van Halen and Bon Jovi with its signature hard driving sound, soulful vocals, muscular instrumentation and forceful pop melodies. See them live at the Xcite Center. Join Triple Sun Spirits for live music with MIXXTAPE! Listen to MIXXTAPE’s range of rock/funk/ska/jam music with some covers of crowd favorites in-between. When: October 27, 1 – 5 p.m. 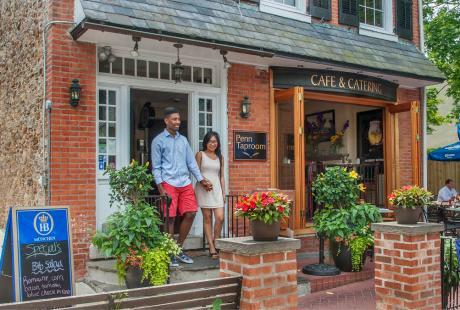 Cycle through Doylestown’s Civil War history, see the home and graves of generals, learn about Bucks County’s link to the Underground Railroad and then tour the Bucks County Civil War Museum and Library. Reservations are required. 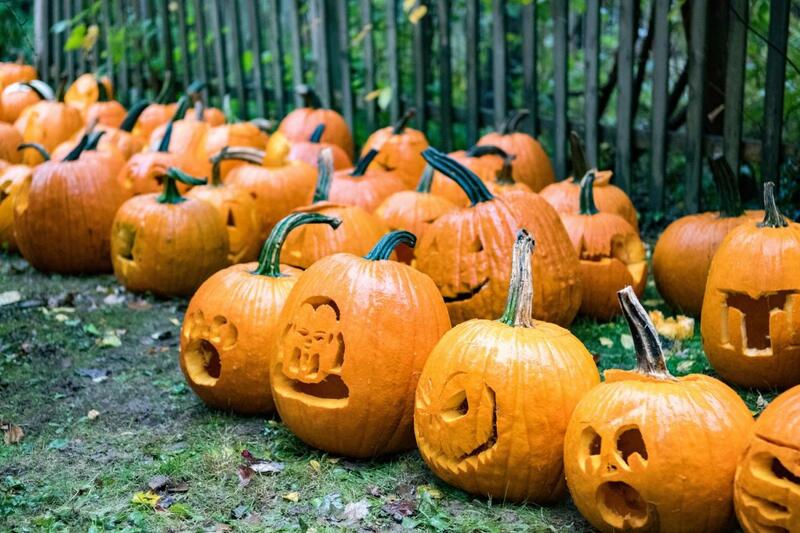 When: October 27, 9:30 a.m. – 12:30 p.m.
Take a peaceful stroll along the beautiful and historic Delaware Canal in Yardley to view the 300+ Jack-o-Lanterns of Canal-O-Ween glowing in the darkness. 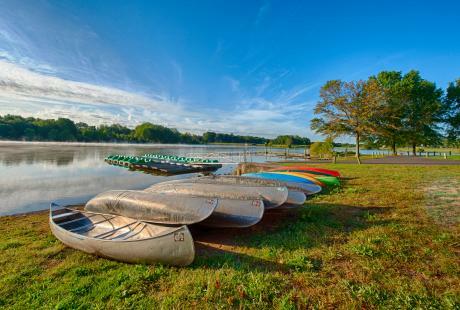 Join Visit Bucks County for a guided tour of Yardley during our fall Photo Walk before the stroll from 4:30 – 6 p.m.! When: October 28, 6 – 10 p.m.
Visit the Pennsbury Manor for the 9th annual daytime trick or treating at the Manor. Enjoy an afternoon of festive family-friendly Halloween fun mixed with Pennsylvania history. When: October 28, 1 – 4 p.m.
Mortals who care to discover the REAL ghosts in the Pearl S. Buck House are invited to visit for a slightly spooky, yet family-friendly Ghost Tour. Visitors will encounter some of the many ghosts seen on the property by Pearl S. Buck, her neighbors, and house visitors. Reservations are required. When: October 28, 4 – 7 p.m.
Visit Hellerick’s Family Farm for the annual Great Pumpkin Drop. Watch pumpkins of all sizes go splat on the ground as Hellerick’s staff drop pumpkins from the top of the Plumsteadville Volunteer Fire Company’s 110 ft. ladder truck. When: October 28, 1 – 2:30 p.m.
Gear up for a spook-tacular time at the "haunted" Bolton Mansion for Boo at Bolton: Food Truck Fest & Trunk-or-Treat! Enjoy moon bounces, face painting, character visits, balloon art, a DJ, trick-or-treating, vendors, food trucks and kid-friendly ghost tours of the mansion. When: October 28, 11 a.m. – 6 p.m.
It’s time for the annual Lenape Village Fall Harvest Festival, Tah-Ko-King! Join the Churchville Nature Center’s educators for a celebration of the rich history of the Lenape people as they would have lived five-hundred years ago. When: October 28, 12 – 4 p.m.
Join La Fiocco and returning guest artist Daniel Moody for a program of courtly, sacred, and bawdy music of Barbara Strozzi, Antonio de Cabezon, Francesco Turini, Henry Purcell, & Johann Sebastian Bach. When: October 28, 3 – 5 p.m.
Join the experts at the Peace Valley Nature Center for a walk to find out about the purpose of some of these misunderstood critters like spiders, vultures, snakes and more! When: October 28, 2 – 3 p.m.